A man is in a critical condition after being shot by police following a siege lasting seven hours in south London. 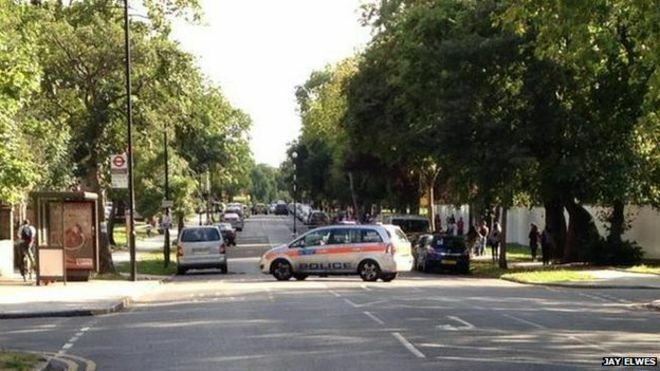 The Met Police said the incident happened at a residential address in Tilson Gardens in Clapham South. At 09:45 BST, unarmed police and a housing officer tried to enter the property to evict the man. Police then withdrew and armed officers and a negotiator were called to the scene. The man was shot at 16:46 outside the premises, the Met said. Neighbour Jay Elwes said on Twitter that he had heard “what sounded like shots” and about 15 minutes later a person was “brought out”. The Independent Police Complaints Commission (IPCC) said the 36-year-old man was in a critical condition at King’s College Hospital. It said that during the incident “shots were fired, injuring the man”. The IPCC said it was in the process of identifying and contacting the man’s family.